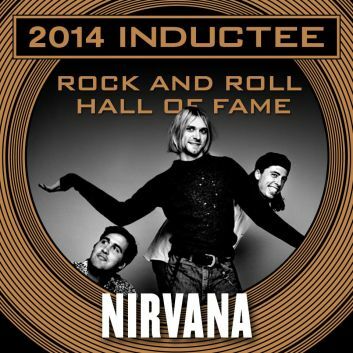 Nirvana has been inducted to the Rock and Roll Hall of Fame, alongside the likes of Kiss and Beatles manager Brian Epstein. REM’s Michael Stipe inducted the group, saying: “Nirvana tapped into a voice that was yearning to be heard. Nirvana’s career was cut short by Kurt Cobain’s death in 1994. His widow, Courtney Love, attended the ceremony. “You know, I have a big speech, but I’m not going to say it,” Courtney Love said, before hugging Kurt Cobain’s bandmates Krist Novoselic and Dave Grohl. Dave Grohl, Nirvana’s drummer and now frontman of rock group Foo Fighters, paid tribute to the musicians who formed the early line-ups of Nirvana, in particular drummer Chad Channing, who he singled out for his contributions to the band’s breakthrough album Nevermind. Bass guitarist Kris Novoselic added: “Nirvana fans walk up to me every day and say thank you for the music. Nirvana received their place in the Hall of Fame in their first year of eligibility. Artists can only be considered for the honor 25 years after their first release.